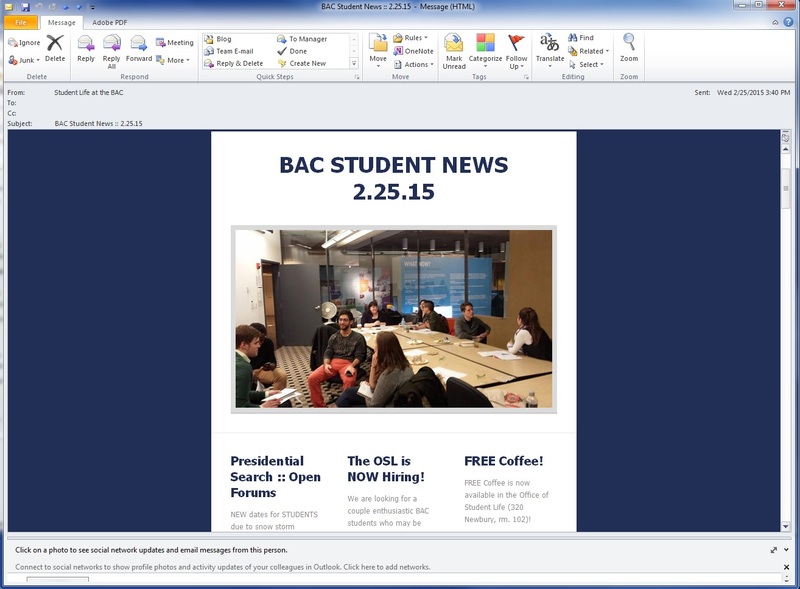 Check your BAC e-mail for a brand new edition of BAC Student News! With a much easier, and more organized interface, we wanted to make sure you were getting your news easily, and accessibly. Let us know what you think on Facebook and Twitter, and you'll be entered to win some great OSL prizes!